A Rotator Cuff Injury from Snowboarding " Tom a 25-year-old right hand dominant snowboarder "
Tom is a 25-year-old right hand dominant snowboarder who presents to his doctor for evaluation of his left shoulder. He injured it one week ago after failing to land a large jump and consequently landing directly on his left side. He described having immediate and significant pain to the left shoulder. He was unable to actively move the arm without significant pain. It has failed to improve to date and although the pain has settled considerably he still is unable to lift the arm. He says it feels very weak. On examination, the doctor notices Tom is holding the arm close to his side. There is no deformity or muscle wasting. Passive range of motion is full with some discomfort. Active range of motion is very limited and he is unable to actively elevate the arm beyond 45 degrees. There is tenderness to palpation over the supraspinatus insertion and a palpable defect with crepitus present. There is grade 3 power testing supraspinatus, 5/5 power for infraspinatus and subscapularis testing. There are no other findings with the examination. A diagnosis of a young rotator cuff tear is made. Tom may benefit from having an MRI on his shoulder to confirm the exact severity of his injury. He may also benefit from seeing a physiotherapist and possibly a massage therapist in order to improve the range of motion again in his shoulder. 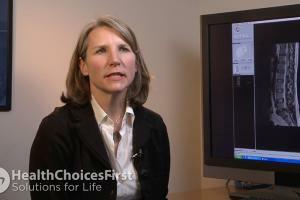 He may also benefit from seeing an orthopedic surgeon for assessment. Symptoms of Rotator Cuff Tendon Tears? Symptoms of Rotator Cuff Tendon Tears?Dr. Patrick Chin, MD, MBA, FRCSC, Orthopedic Surgeon, discusses rotator cuff tendon tears. An orthopaedic surgeon specializes in the diagnosis and treatment of bone and skeleton-related problems, and can help patients suffering from rotator cuff injuries. A massage therapist focuses on helping patients reduce pain, relax and achieve optimal health. 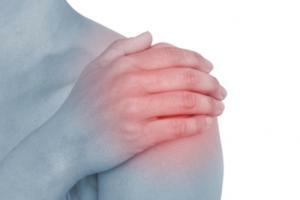 A massage therapist can help you if you have suffered a rotator cuff injury. A physiotherapist is trained on non-invasive techniques to prevent and treat injury or dysfunction, and can help people recovering from rotator cuff injuries. A radiologist is a doctor who specializes in interpreting medical images such as x-ray, CT scan, ultrasound and MRI, and can help assess your rotator cuff injury. A personal trainer coaches clients to achieve their fitness goals through appropriate exercise programs based on their medical condition. 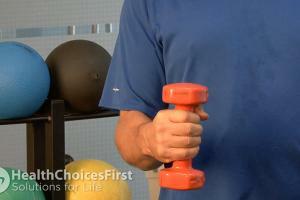 A personal trainer can help you exercise safely if you have a rotator cuff injury. A sports medicine physician is a doctor specializing in sport or exercise-related injuries, and can help assess your rotator cuff injury. Conversation based on: A Rotator Cuff Injury from Snowboarding " Tom a 25-year-old right hand dominant snowboarder "
The case study indicates that Tom says the arm he injured snowboarding feels weak. I experienced the same thing after I injured my shoulder and no one ever really explained to my why that was. I didn't have a rotator cuff injury but I did have tendinitis - is it a side effect of the injury to the joint ? Reply to: A Rotator Cuff Injury from Snowboarding " Tom a 25-year-old right hand dominant snowboarder "
There are two different structures that help to stabilize the shoulder. The main one would be the capsule, so this is the ligament that wraps around and holds the ball and socket together, and along with that you’ve got the rotator cuff muscles. Can you injure the rotator cuff muscles and still have stability of the capsule.? What is the difference between healing a muscle injury vs a ligament ? So there are four different muscles. There’s one rotator cuff muscle in the front, and then three rotator cuff muscles on the back, and their job is to hold onto the ball and socket and stabilize it. Acupuncture and Cupping Therapy would be very good to provide faster healing. The younger the client and the earlier you can attend to it, the faster and more completely it can be healed. It is important to encourage circulation from the muscles that feed the area so that stagnation does not set in. I would do both Cupping and Acupuncture in the same session. Cupping for the local injury area but the acupuncture does not necessarily have to be at the injury site in order to be affective. They work very well together. Would you do both acupuncture and cupping in one session to deal with an injury such as this rotator cuff tear ? Can a Rotator Cuff injury be caused by years of repetitive factory work ? A friend is having an xray, followed by ultrasound on her shoulder to rule out this type of injury. Is there a way once can strengthen tendons and ligaments to avoid such an injury ? I would think so. If I recall correctly, repeatitive motions can lead to worn tendons and ligaments. If they wear enough they can easily tear. It's important to address these injuries immediately. Maintaining range of motion will help long term. My understanding is that it can lead to further injury - eg forcing the injured joint to do more when it should be resting. It can also worsen the initial injury leading to more recovery time and possible surgery. If this type of injury is not look after right away, what could the damage lead too ? I agree. Exercise and massage are both important - to strengthen, and to avoid scar tissue build up. If the scar tissue builds up it will hinder his range of motion. Rotator cuff injuries are very painful. Are you a health practitioner that can treat conditions like the one explained here? Sign in to join the conversation as an expert.